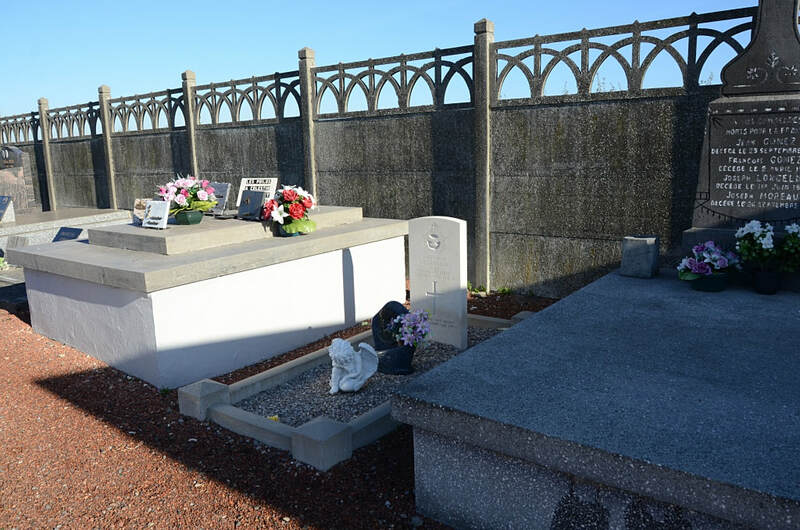 Fenain is a village and commune 21 miles (34 kilometres) south-south-east of Lille and 10 miles (16 kilometres) east of Douai. 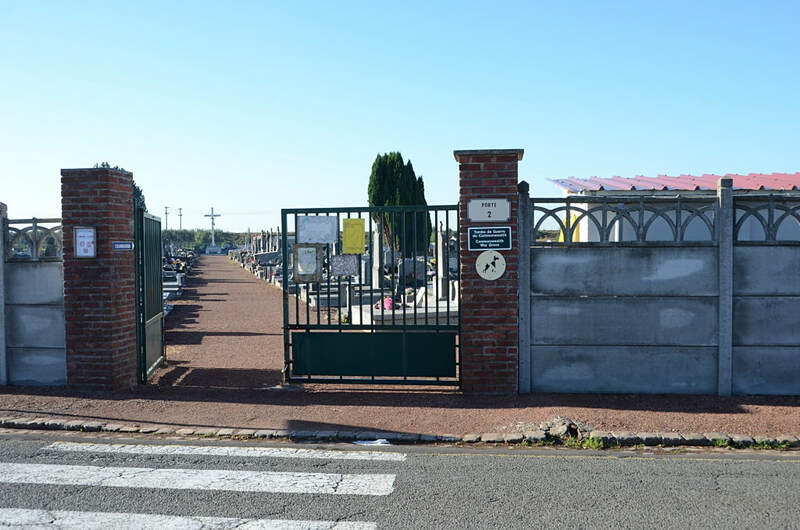 The nearest railway station is 2 kilometres to the south-west, at Somain (Paris Valenciennes line) there taxis are available. 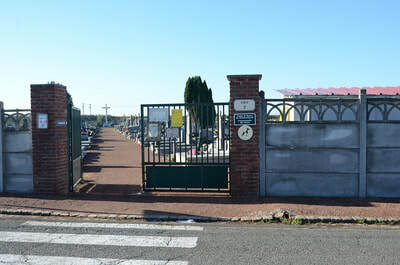 The cemetery is about 1 kilometer south-south-east of the village, on a by-road leading to the D.130 Abscon Erre road. The British grave is near the north wall, and between the two entrances to the cemetery. 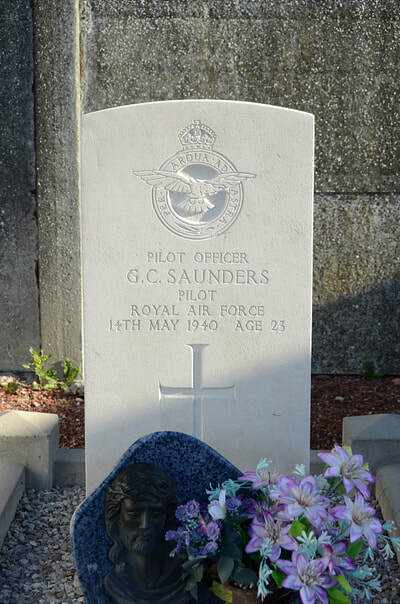 41620 Pilot Officer Gordon Cranleigh Saunders, Pilot in 87 Squadron, Royal Air Force, died 14th May 1940, aged 23. 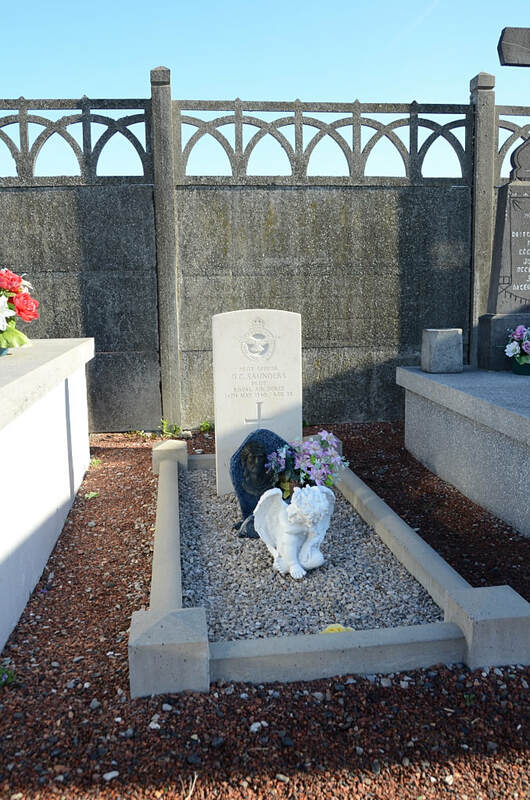 Son of Frederick and Claudia Saunders, of Wellington City, New Zealand.